Altior is set to sidestep Cheltenham on Sunday and make his hotly anticipated chase debut at Kempton on Monday week instead. The Supreme Novices' Hurdle winner was in the Grade 2 Racing Post Arkle Trial but his trainer Nicky Henderson, who sent out O O Seven to win first time out over fences at Cheltenham on Friday, said he would not take up the engagement. Henderson said: "Altior will not run on Sunday. Instead he'll go to Kempton ahead of a possible tilt at the Henry VIII at Sandown. "He hasn't done anything like as much schooling as O O Seven has had, so I thought we would go to Kempton for a little doodle around there." Six have been declared for the Cheltenham race, and Henderson will still have a runner, Hammersly Lake. Winter Escape will face 16 rivals when he bids to stretch his unbeaten run to four in tomorrow's £100,000 StanJames.com Greatwood Handicap Hurdle at Cheltenham. There were no surprises at yesterday's 48-hour declaration stage, and the five-year-old remains a warm favourite at a general 11-4 to give JP McManus a first win in the race since the ill-fated Lingo scored in 2005, and Alan King a first ever success. He was widely available at double figures when the Greatwood was first priced up. A strengthened card for the third day opens with a rematch between Champion Bumper winners Moon Racer and Ballyandy, who were separated by only three-quarters of a length when they made their hurdling debuts at Perth in September. 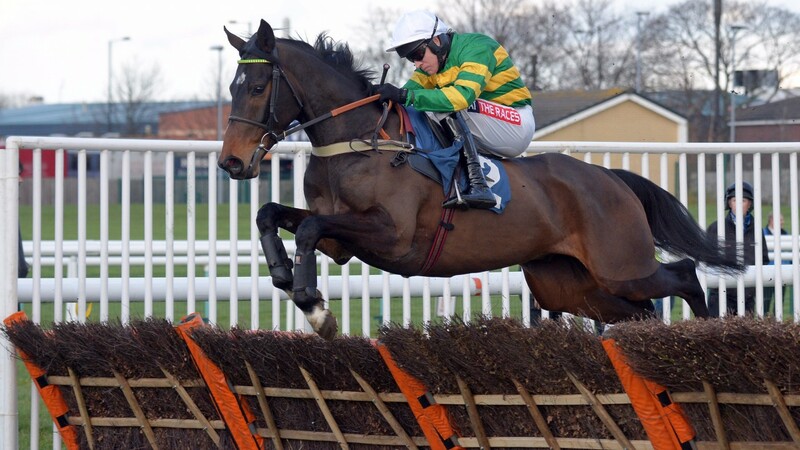 They meet in the Grade 2 Sky Bet Supreme Trial Novices' Hurdle. Sprinter Sacre stole the day 12 months ago when bouncing back to form in the Shloer Chase, and Nicky Henderson is hoping for a similar outcome when his fragile former dual festival winner Simonsig bids to get his career back on track in what looks a competitive renewal.